Do you own various properties; manage a development of condominiums, apartments or townhomes? Have you reached the point where you need the gutters on your large commercial property to be replaced? Well, if your property is in St. Paul, MN, you are in luck because Minnesota Leafless Gutters is right in your backyard! We are a local company that has been serving this area for over 17 years. Over the years, we have developed a passion for providing people in our community with high quality gutter installation as well as the best in customer service. No matter how big or small your gutter project is, our experienced staff can handle it for you every step of the way. Gutter Installation – Partnering with a team of professionals that you can count on is very important when you need a full gutter installation. Especially if you have multiple properties that need installation. We are the partner for you! You will work with the owner of our company, Tim, every step of the way, ensuring that we meet your every need. Gutter Maintenance – Another draining task that most people do not know how to properly perform. Especially in Minnesota, we are faced with all types of weather that have a negative effect on our gutters. Our staff can provide gutter maintenance for your properties year around. Gutter Replacement – If you have gutters that have aged and need replacement, our staff can take care of this for you as well. 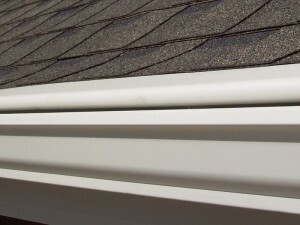 We offer various gutter types and styles to accompany our professional gutter installation. The three most common types of gutters we offer include aluminum, copper, and steel. Depending on the length of life you are looking for, and your budget, we can find just the right gutters for you. Additionally, we offer K-style gutters, half round style gutters, and even gutter covers. Now is the time to partner with a respected, local gutter company that will always have your best interest in mind. If you are in the St. Paul, MN area, give Minnesota Leafless Gutters a call today at (612) 221-0362 to set up a free estimate on your residential or commercial properties in need of gutter services.